J. Rose explored VIZpin Smartphone Access Control and found that it is significantly less expensive to install than key card solutions. LANCASTER, PA, UNITED STATES, December 6, 2018 /EINPresswire.com/ -- Access control solution provider VIZpin recently released a case study, “Jonathan Rose Companies Offers Safe, Convenient Welcome to Executives Nationwide with VIZpin ”. The study focuses on access challenges the green real estate planning and development company faced and how they were overcome with the installation of VIZpin’s smartphone-based access control solution. The case study reveals that the Jonathan Rose Companies’ Great Lakes Region office was seeking a solution that would allow easy access to executives traveling from its other seven locations regardless of when they arrive. Traditional keycard-based and keypad systems were not an option because of staffing and security issues. In addition, the study shares, the Great Lakes Region office opted against a keycard access solution based on the administrative difficulties its sister office in New York City was experiencing with its keycard-based system. According to J. Rose Chief Operating Office Mike Daly, who is quoted in the study, the VIZpin Access Solution provides the secure access, flexibility and ease of administration that the company was seeking. He explains that the solution allows the Cleveland-based office to maintain security because employees and visitors do not share smartphones, and that the office manager is able to quickly transfer keys from anywhere in the event that someone’s phone is lost or replaced. The study also notes that the smartphone-based solution is significantly less expensive to install than keycard solutions. 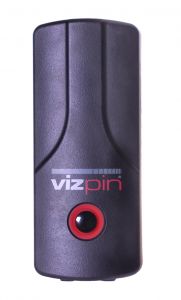 For more details, download the case study “Jonathan Rose Companies Offers Safe, Convenient Welcome to Executives Nationwide with VIZpin” on the VIZpin website. For additional information or to answer questions, contact VIZpin Director of Marketing Wendi Grinnell.